The Saddlers will be appearing in the FA Cup Third Round tomorrow for only the third time in the last ten years as we face a Bolton team low on confidence and money! Walsall boss Dean Keates will be missing Jack Fitzwater tomorrow as he has been recalled by his parent company WBA for their FA Cup tie. He will return on Sunday to complete his season long loan. The Saddlers have sent back on loan duo Kane Wilson and Connor Ronan following their ineffective displays. Walsall welcome new signings Matt Jarvis and Omar Mussa into the squad. Its a question of who can play? Bolton are under a registration embargo so any loan player or player on short term deals cannot be registered at the moment. Dialogue between the Championship club, the EFL and FA will continue on Friday to determine if Christian Doidge, Remi Matthews and Gary O’Neil can feature. Former Saddler Erhun Oztumer will likely start against his former club. Cook has scored eleven goals this season and is getting by each game. It took him a few months to get to terms with League 1 football but his all round game has improved massively recently. Cook has scored in his last two games for the Saddlers and will be hoping to add to that tomorrow. Cook has scored in both rounds of the FA Cup this season having scored against Coventry and Sunderland. The Turkish Messi needs no introduction to the Saddlers faithful having scored thirty-three goals for us between 2016 and 2018. Oz has found his chances limited at Bolton having only featured fourteen times this season – six of which were as substitute. Grass isn’t always greener Erhun! 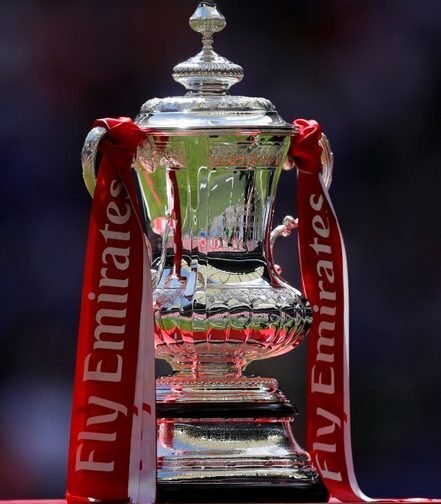 This will be the first ever FA Cup meeting between Bolton and Walsall, with the sides most recently facing each other in a 4-1 win for Bolton in February 2017 in League One. In all competitions, Walsall have lost nine of their last 10 away games against Bolton (D1), conceding 34 goals in the process. Bolton have been eliminated at this stage of the FA Cup in each of the past two seasons. Walsall have been knocked out of seven of their past nine FA Cup ties against sides from a higher division, progressing against Charlton in 2001-02 (round four) and Brentford in 2015-16 (round three). England has officiated twenty-four games so far this season, dishing out ninety-one yellows and four reds. England has officiated three games involving the Saddlers – the Saddlers have won all three. His last game involving the Saddlers came in November 2016 where the Saddlers defeated Sheffield United 1-0 at Brammall Lane. With the way both defences are shipping in goals this could end up 6-6! Bolton have a very good record against us and despite having financial problems they should beat us – however this is the FA Cup and anything can happen.